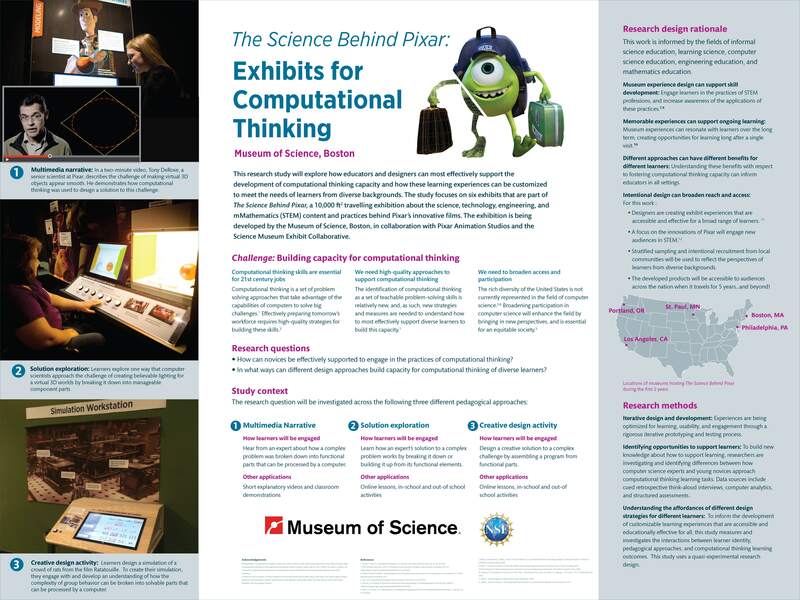 While we were developing The Science Behind Pixar , we also conducted a research project funded by the National Science Foundation (CNS 1339244) to learn how we could best support novice learners understand computational thinking. This research focuses specifically on exploring how to design educational experiences to cultivate the skill of problem decomposition. Problem decomposition is a problem-solving strategy used by computer scientists that involves figuring out how to break challenges and their solutions down into parts that can be communicated to and carried out by a computer. Cahill & Mesiti (2015). 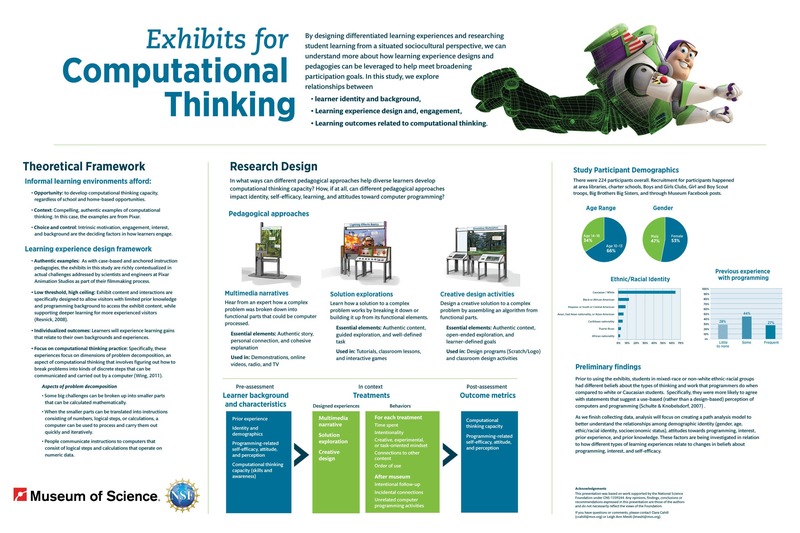 Exhibits for Computational Thinking. Presented at RESPECT 2015, Charlotte NC.